Germany, the most economically and socially stable of all the nations in the European continent, may be facing drastic measures over the next several years. Germany's birth rate has collapsed to the lowest level in the world. Germany's workforce will start plunging at a faster rate than Japan's by the early 2020s. This will pose a major threat to the long-term viability of Europe's leading economy. 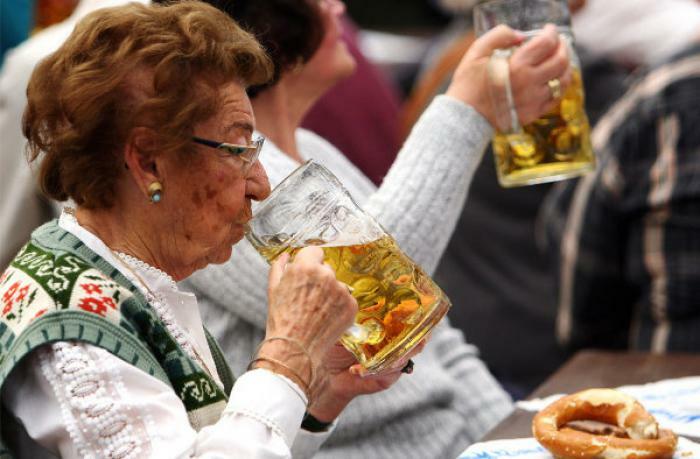 A growing elderly population in Germany is guaranteed, as life expectancy for women is expected to continue rising to 88 and for men to 84 by the middle of the century, creating a massive social burden. LOS ANGELES, CA (Catholic Online) - The average number of births per 1,000 populations dropped to 8.2 over the five years from 2008 to 2013, a study by the World Economy Institute in Hamburg (HWWI) found. Even Japan did slightly better birthrate at 8.4. "No other industrial country is deteriorating at this speed despite the strong influx of young migrant workers. Germany cannot continue to be a dynamic business hub in the long-run without a strong jobs market," the institute warns. The "double whammy" of a powerful post-war baby boom followed by a countervailing baby bust, called the so-called "Pillenknick" is cited as the chief reasons. The German government expects the population to shrink from 81 million to 67 million by 2060 as depressed pockets of the former East Germany go into "decline spirals" where shops, doctors' practices, and public transport start to shut down, causing more people to migrate. Small German towns in Saxony, Brandenburg and Pomerania have begun to contemplate plans for gradual "run-off" and ultimate closure, a once unthinkable prospect. German Chancellor Angela Merkel warned in a speech in Davos that Germany will lose a net 6 million workers over the next 15 years, shrinking gradually over the rest of this decade before going into free-fall. Even worse, the International Monetary Fund expects the decline in the 2020s to be more concentrated and difficult than the slower paces of decline seen in Japan so far. However, Britain and France are in far better shape, with an average of 12.5 births per 1,000 in from 2008-2013. The IMF expects both countries to overtake Germany in total GDP by the middle of century and possibly even by 2040, implying a radical shift in the European balance of power. Germany's leaders are highly aware of the situation. The HWWI said the numbers in the crucial 20-65 age group will drop from 61 to 54 percent by 2030, pushing the dependency ratio towards 1:1 and calling into question the solvency of the public pension system. A growing elderly population is guaranteed, as life expectancy for women is expected to continue rising to 88 and for men to 84 by the middle of the century, creating a massive social burden. "We want people to face up to the enormity of the problem," Dr. Andres Wolf, one of the authors of the report, says. "It is a fiscal danger and it is a long-term danger to the ability of German companies to innovate and develop new products," he added.